and phone calls!Have Questions? We welcome email and phone calls! Are You Ready to Expand Your Psychic Horizons? Does Your Future Interest You? Would You Like to Live a More Spiritual Life? Everyone has intuition. Sometimes we forget to listen to it. If you're looking at this site, perhaps you want access to new information. As a clairvoyant, I can offer you an expanded glimpse of your world. 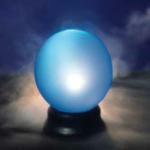 By channeling energies, I can provide you with the possibility for better choices. I am part of an ongoing tradition that carries in mind your highest spiritual well being. I can help you in the following areas of your life: Relationships, finances, business/career direction, family, soul mates, spiritual path, health and present life purpose.